The All of Us Journey visits St. Louis, Missouri from Monday, April 22 through Friday, April 26. 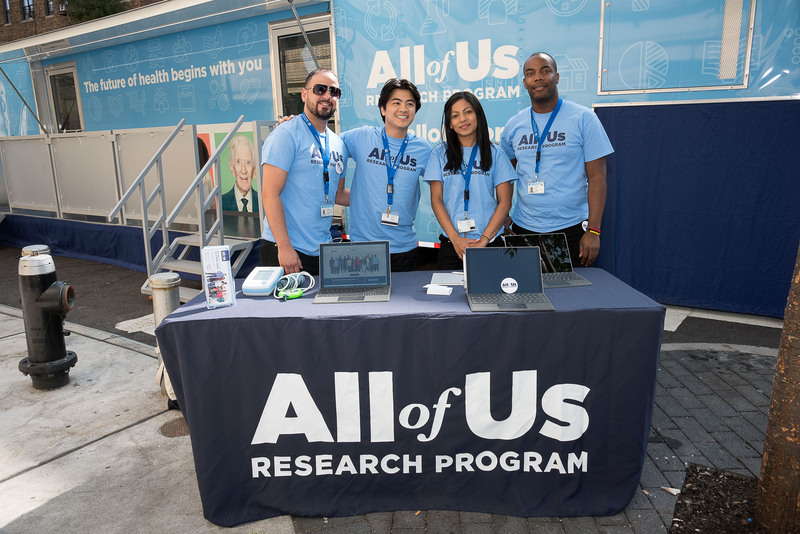 Join us and St. Louis University to learn more about the All of Us Research Program. Visitors will also have the opportunity to enroll in this landmark research program while on site. – Monday, April 22 and Tuesday, April 23: The All of Us Journey will be on the SOUTH Campus of St. Louis University, 309 Carr Lane Avenue, St. Louis, MO 63103. – Wednesday, April 24 thru Friday, April 26: The All of Us Journey will be on the NORTH Campus of St. Louis University, 3614 West Pine Mall Blvd., St. Louis, MO 63103. The tour will welcome visitors from 9 a.m. to 4 p.m. each day.